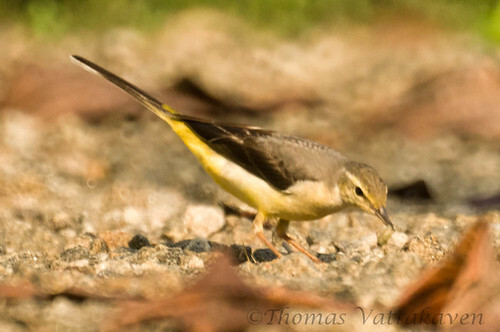 Last morning we had an unexpected visitor to our backyard – this Grey wagtail which i mistakenly identified first as a Yellow wagtail. 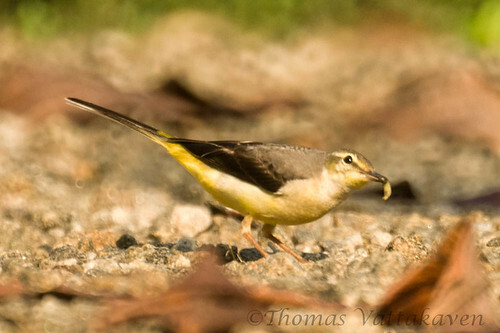 The main difference between the yellow and grey wagtails is that while the yellow wagtail has the yellow colour throughout its underside, the grey wagtail has it restricted to the throat and vent. They are mostly solitary but may be seen in pairs. While walking , they can be seen to “wag” their tails . 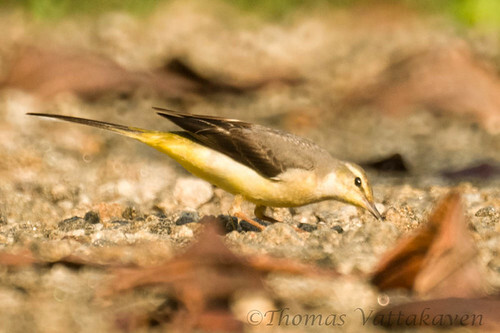 While flying they often call out sharp[ly while taking an undulating path. They are mostly insectivorous and capture insects that have been disturbed as they walk along the ground by running after it and catching it. 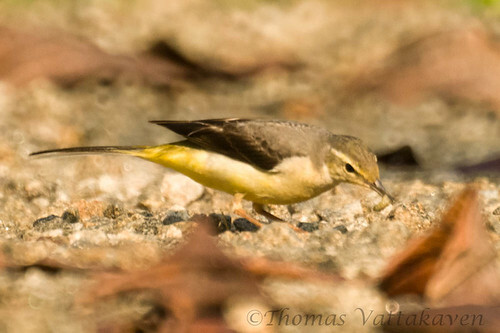 This species is widely distributed, with several populations breeding in Europe and Asia and migrating to tropical regions in Asia and Africa. 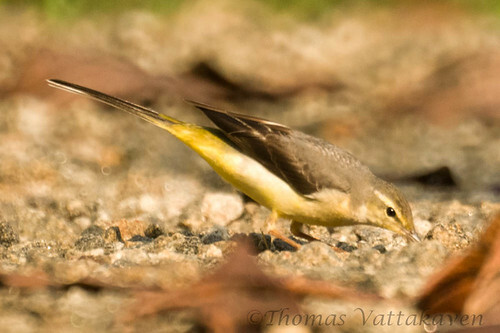 ...such a slim-looking little bird. He's very pretty!